University of Montreal chemistry professor Davit Zargarian is one of 3 new members of the Boards of NJC. The Editors-in-Chief of NJC welcome 3 new members to the boards. Earlier this year Len Barbour of Stellenbosch University in South Africa and Takashi Kato of the University of Tokyo were appointed to the Editorial Board, while Davit Zargarian, at the University of Montreal in Québec, Canada, has joined the International Advisory Board. 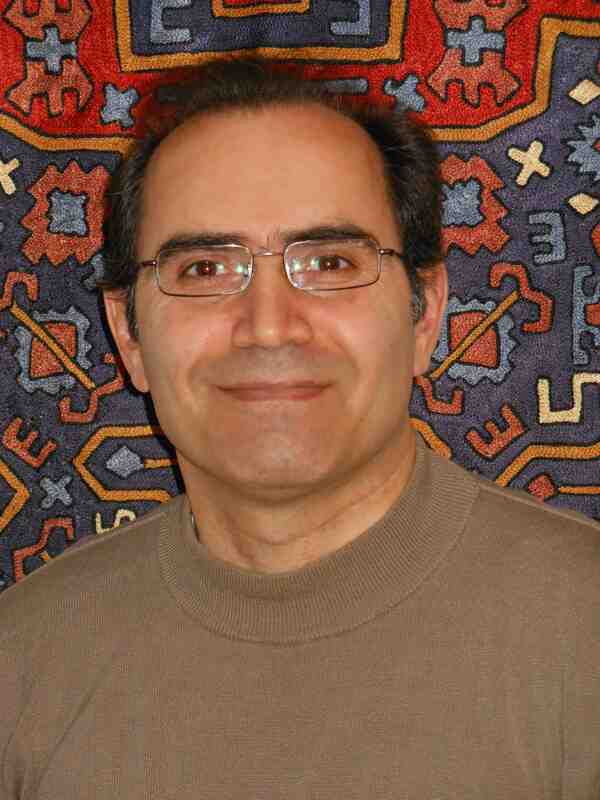 In this post, I present Professor Davit Zargarian, who has been at the University of Montreal since 1993. Davit Zargarian began his studies at the University of Toronto as an undergraduate in the group of Professor Martin Moskovits, working on the oxidation of ethylene. After his B. S. degree, he moved to the University of Waterloo to join the new organometallic chemistry/homogenous catalysis laboratory led by Professor Todd Marder. His M. S. studies centered on the preparation of Rh-alkynyl complexes. The University of Ottawa was his next home, where Davit prepared his Ph. D. thesis with Professor Howard Alper on the Ni- and Pd-catalyzed carbonylation of alkenes and alkynes. In 1991, Davit moved to the Scripps Institute for his first postdoctoral stint. After working on Os-catalyzed dihydroxylation of olefins in the group of Professor Barry Sharpless, Davit moved across the street to the San Diego campus of the University of California to work in the research group of Professor Don Tilley, studying the chemistry of Hf-silyl complexes. Davit returned to Canada in 1993 to take up a position as Assistant Professor at the University of Montreal, where he learnt to teach inorganic and organometallic chemistry in French and moved up the ranks to become Full Professor in 2004. The Zargarian research group typically consists of a small group of enthusiastic students focused on the coordination and organometallic chemistry of first-row transition metals (primarily nickel) featuring ligands such as indenyls, bis- and tris(pyrazolyl)alkanes, and various types of pincer ligands. The main theme of their studies is homogeneous catalysis promoted by new complexes designed and synthesized by the group. We wish a warm welcome to Davit and look forward to a fruitful collaboration with him as a representative of the Canadian chemistry community.